Vivid Sydney, the amazing festival of lights and music is back again and will be held in the city for the fourth time. The festival will be held in different venues and is one of the most exciting festivals of Sydney. The festival would start from 25th May and would continue till the 11th of June. The most amazing thing about this festival is that after 6 PM the beautiful and innovative festival lights would be switch on and would be kept on till midnight. The display of lights is so beautiful and mesmerizing that people wish that these lights never go off even for a single day. 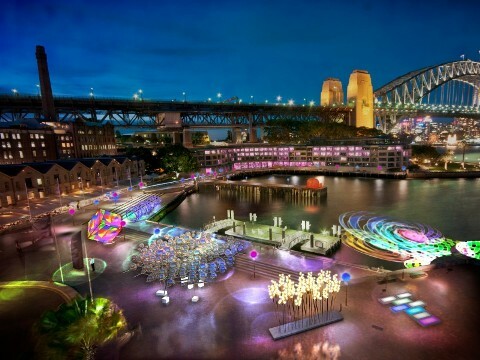 The free display of lights would be shown around the Circular Quay and the Rocks. More than 50 different interactive lights would be shown every day. Beautiful light sculptures, 3D mapping and illuminated sky skyscrapers would be displayed all along the Sydney Opera House and the Museum of Contemporary Art. The vivid festival will include both free and paid events. The event programs would be held across venues like the Circular Quay, the Museum of Contemporary Art, the Rocks and the Sydney Opera House. The festival will also feature some of the famous local and international artists at the Sydney Opera House. All the artists who would be performing at the event are carefully chosen by the event director Fergus Linehan who is known for its excellent management skills. On the first day, visitors will get to see the performances of the legendary English artist Florence who will be performing the ceremonial orchestra in the concert hall. Apart from the orchestra, there will also be performances by leading artists like Karen O, R&B Legend Janelle Monae and several others. The event will also include performances from Sufjan Stevans, Nico Muhly and Bryce Dessner. All three of them belong to New York and are known for their creativity and their music skills. The festival is also a great place for business related opportunities as the event provides a perfect platform for increasing business contacts. Some of the best people in the art industry come to Sydney to attend this amazing festival and the presence of such industry tycoons provides a great opportunity for young and new talented artists to display their talent and to get in touch with the industry experts. Over a period of four years, the festival has become much bigger and better. The organizers this year have scheduled many more events as compared to the last year. Apart from that, more than hundred specialist and collective events will be performed under the Vivid Ideas Program. All these programs would be supervised and managed by the Festival director Jess Scully. The most amazing thing about this festival is the creativity which talented people bring to this event. The event is fresh and is quite promising as many young talented people here are encouraged to think out of the box and perform as they wish too. It is because of this freedom, the festival has positioned Sydney as one of the leading creativity hubs in the southern hemisphere. 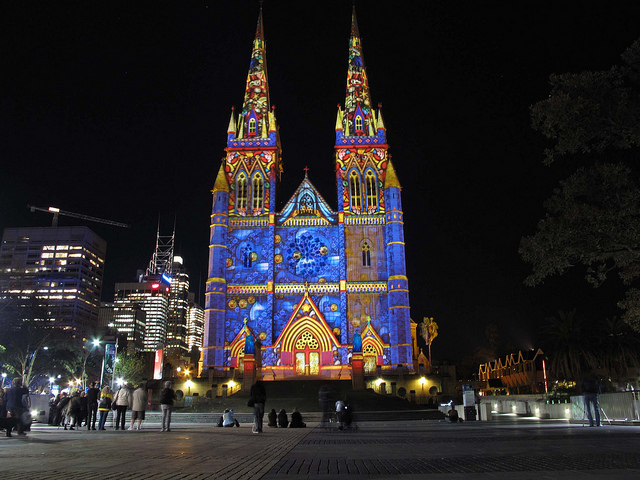 The vivid festival has now become a global event. There were more than 40,000 visitors last year and the number of visitors this year will surely cross all the previous records. It is because of its growing popularity the event has now been ranked in the top ten global idea festivals. Making note of the number of visitors which attended the festival last year, it is highly advisable for the tourists to book their Sydney accommodation before they start their journey as advance bookings will help tourists to get a decent hotel at a decent price. Apart from the festival, tourists should also make plans to check out other things for which Sydney is famous for. The best way to cover the historical city is by taking Sydney tours as this will help them to cover maximum city landmarks in short time. 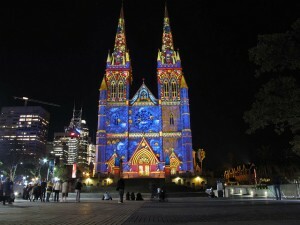 This entry was posted in Blog, Events and tagged festival, lights, vivid by Paul. Bookmark the permalink.